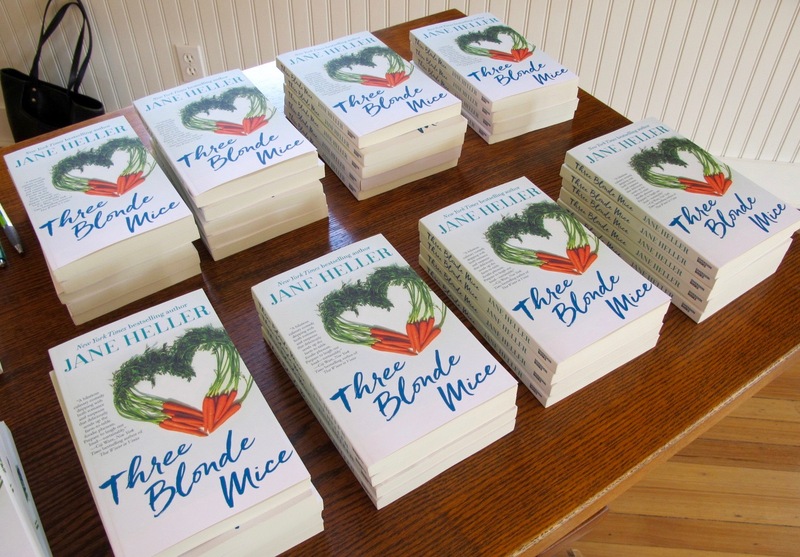 Join New York Times bestselling author Jane Heller on Saturday, August 6th at 2:30 p.m. to celebrate the publication of her new novel, Three Blonde Mice, and sample a very special dessert! Set at a fictional farm resort in Litchfield, Connecticut, Three Blonde Mice is a comedy featuring three best friends who take a “haycation” together, learning how to milk a cow, make cheese, forage for wild edibles and take cooking classes with a famous farm-to-table chef….only to discover that one of their classmates is out to murder the chef. A big part of Jane’s research was spending time at Litchfield County’s own Arethusa, both the dairy farm and the restaurant. 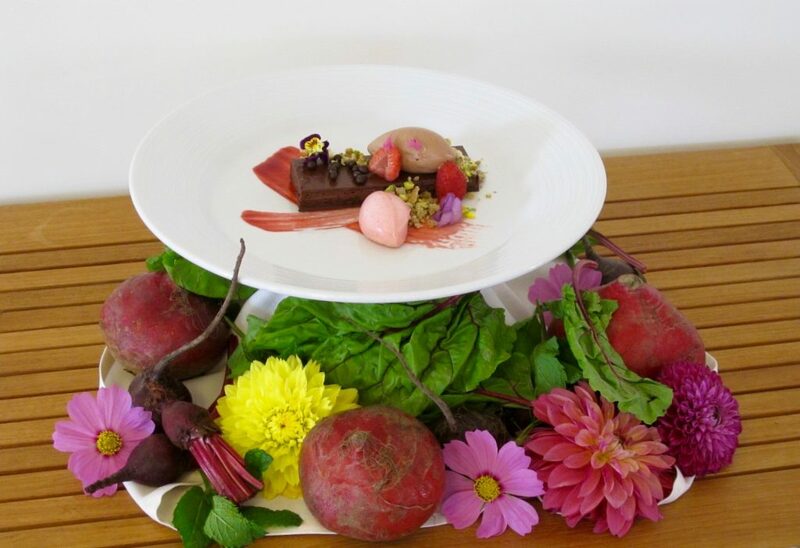 Figuring into the plot is a chocolate-and-beets dessert created especially for the book by Arethusa al tavolo’s pastry chef, James Arena (recipe included!). 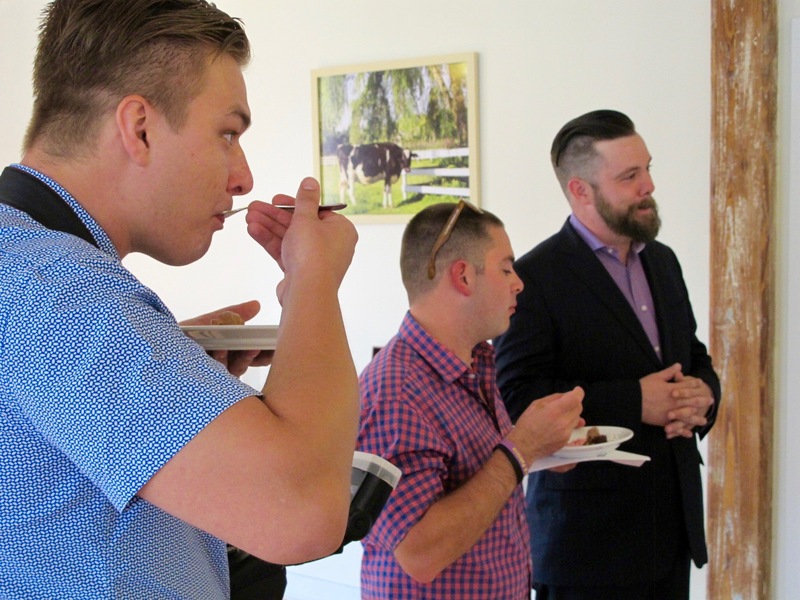 Dan Magill, Arethusa al tavolo’s executive chef and James Beard semi-finalist, and pastry chef James Arena will be on hand to offer samples of the dessert and answer any questions, and the Hickory Stick Bookshop will provide copies of the book for purchase and for Jane to sign. When: Saturday, August 6th, 2:30 p.m.
And now there’s more from Arethusa al tavolo. 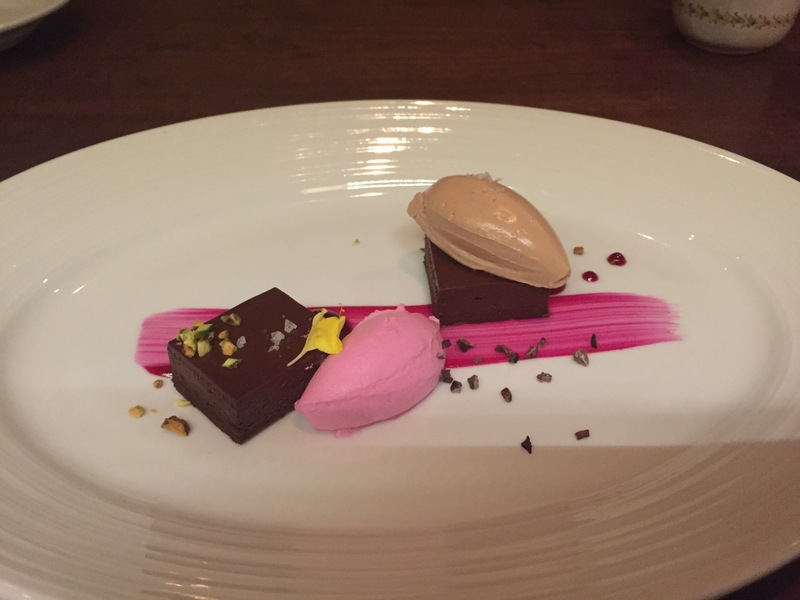 The restaurant has agreed to make Chef Arena’s “Three Blonde Mice” dessert an off-the-menu “special” during the month of August. In other words, you can order it and indulge in its deliciousness any night of the week during August! I’ve heard of entrees being named after celebrities (I think Nora Ephron had a meat loaf named after her and I know there are tons of famous names attached to various deli sandwiches), but I believe this the first time a dessert will be named after a book. So come and enjoy! Spending the month of July in Washington, CT in beautiful, bucolic Litchfield County, has become a tradition and there’s nothing I don’t love about it except the mosquitoes, which love me as much as I despise them (and I’ve got the bites to prove it). California is home now, no question, but there will always be a pull toward the east coast where I was born and raised and still have family and friends. Besides, while others complain about the heat and humidity, they’re just fine with me. I’m always cold in California and in Connecticut I can go sweater-less and enjoy it. One of the best reasons for coming east is to head over to the Bridgewater Village Market for pie. And I don’t just mean any old pie. I mean pie as in the best crust, the best fruit, the best everything I’ve ever tasted. We had their blueberry pie on July 4th and it was as heavenly as ever. I don’t know how they get it right every single time, but they do. Swimming is another pleasure that’s exclusive to my visit here. I never swim in California. Too cold. But here I plunge right in and it feels great. The only bad thing about my month here is that it’s just that: a month. Much too short. Resorts and restaurants come and go, not only in Litchfield County, CT where I’m winding up my July vacation, but around the country. But the Hopkins Inn, a charming 19th century inn with a lovely restaurant overlooking Lake Waramaug, has been a local institution for years. It was on my list of To Do’s when I got here, and Michael and I finally had lunch there the other day. The owners are Austrian, so the ambiance is Old World Continental. In other words, the waitresses all dress like they’re extras in “The Sound of Music” and the menu features items like Wiener Schnitzel. When you sit on the flagstone patio and gaze out to the lake, sipping the German version of a Bellini (it’s got peach schnapps in it), you feel as if you’re in Europe. One of life’s pleasures is revisiting places you’ve loved and finding that nothing has changed – in a good way. The Hopkins Inn is as wonderful as it was 20 years ago, the last time I was there. Michael thought so too.